Happy Thursday! 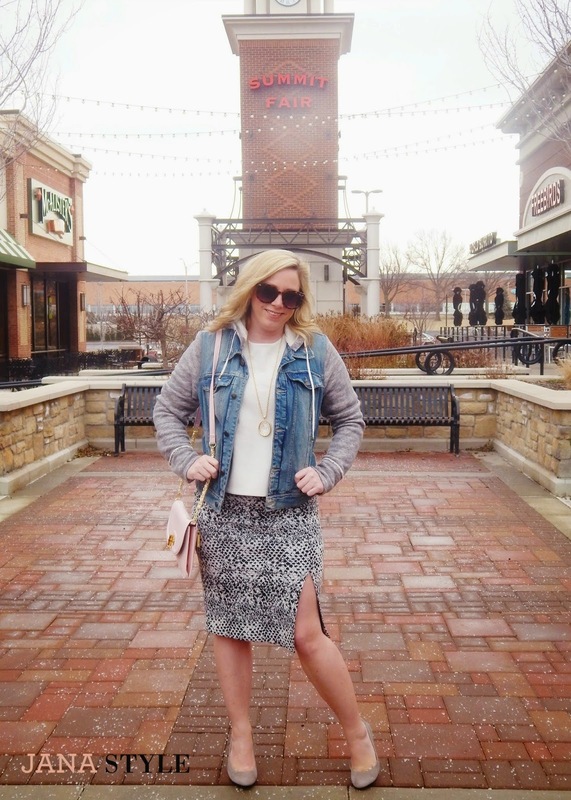 It's the day of the week I bring you my weekly style finds from the stores at Summit Fair! 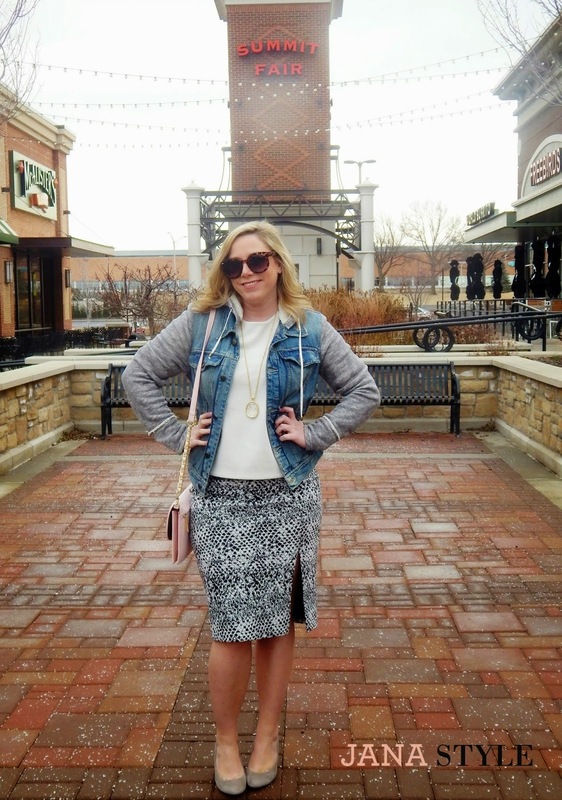 This week I am excited to share with you the pencil skirt trend! This season the sleeker and tighter fitting skirts and dresses are making a major comeback! (that's right, all the more reason to keep working on my fitness, right?!?) I found this one at Macy's and couldn't resist the black and white print and sassy slit! 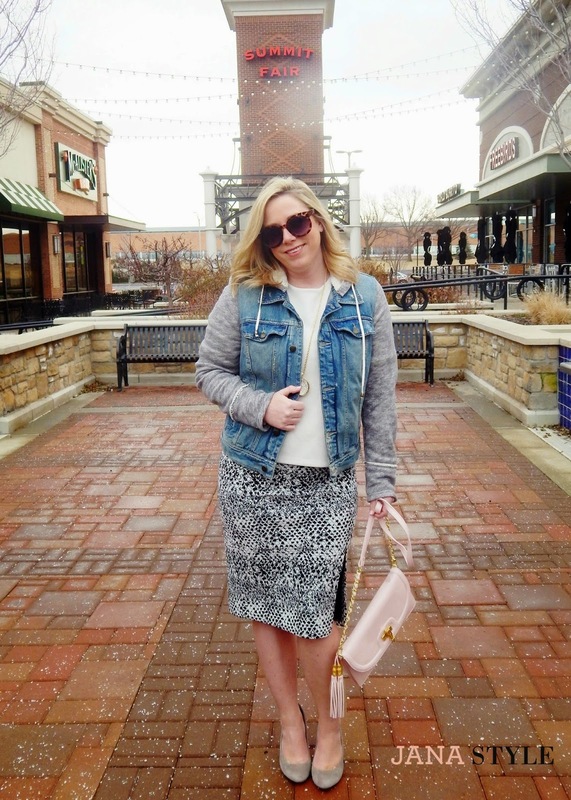 These gray wedges from DSW have been a favorite of mine this season. They go with everything and can be dressy or casual! I love wedges and they will continue to be a staple in my spring wardrobe. One of my recent favorite ways to style a skirt is to add a more casual top to a dressier skirt. It's a combination that makes the look a little more relaxed and trendy. Mixing styles and prints is a fun way to mix things up! For the spring season add a pastel colored bag to your wardrobe. I LOVE this powder pink shoulder clutch with the gold accents! It even has a cute tassel detail! What do you think of this trend? Will you be adding a pencil skirt or two to your Spring wardrobe? Yes! I love pencil skirts! This one is so cute paired with the denim jacket!